December is proving to be a busy month for Soundrop. Fresh from expanding its social listening service to cover Deezer, it has released an Android app and updated its Spotify app with new discovery features. Aside from a visual makeover, the Soundrop Spotify app has got a number of new discovery features. 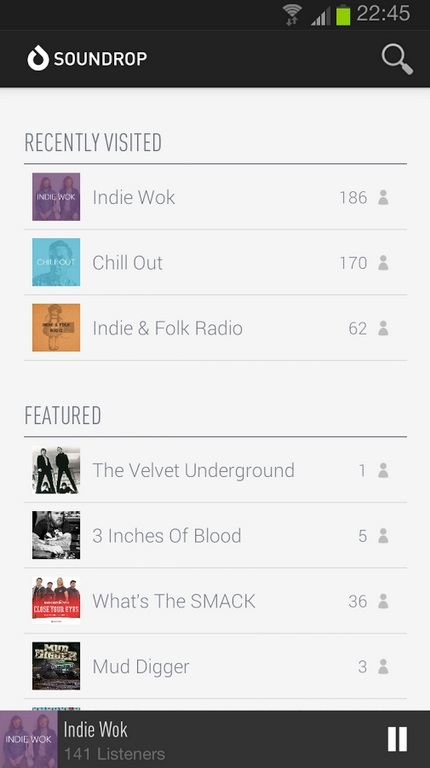 Visitors can peruse a room’s most popular 50 tracks via a ‘top tracks’ playlist, while there is now a ‘related room’ tab. Room owners themselves have been given analytics, to track numbers of streams, listeners, starred tracks and more.